OFF KLTR JOURNEY TO WALDORF BEGINS (part 1 of a 4-part series) | OFF KLTR! Keira (age 2): First Day of Playgroup. My older daughter started “school” when she was almost 2.5 years-old. She went to the most wonderful in-home playgroup! The teacher is truly amazing. She is warm and wonderful with the children and she is so good with her new, nervous parents. I was totally aligned with her educational philosophy. Preschool is for kids to play. PLAY. Not learn letters. Not learn numbers. But learn really crazy stuff, like how to play with other kids, make friends, share. Keira had a wonderful year at the playgroup. The playgroup was only for two-year-olds, so as I am a crazy type-A mama, I started my search for another wonderful preschool early in the fall. I went to every info-session in town. I talked to everyone I knew, including strangers at the park and the grocery store! Not one place that I visited felt like just the right fit for my girl. Or for her mother for that matter! In the end, we narrowed our selection down to two schools: (1) a non-denominational preschool with a play-based philosophy, that had just one big room and 30+ kids at a time with rotating teachers. And parents could choose 2 to 5 days a week for their children to attend, so that meant there would be different kids each day of the week. (2) A Jewish preschool with lovely little classrooms, 14-18 kids per classroom and two or three dedicated teachers. Students attended Tu/Th or Mon/Wed/Fri or all five mornings, so the same kids would be in my child’s class each day. The school’s focus was kindergarten readiness. In the end we chose the Jewish preschool, primarily because my girl had gone to their summer program and LOVED it! And, quite honestly, I couldn’t get past preschool option #1’s huge, loud room. I was scared to leave Keira in (what looked to an outside observer like) chaos. But, I will say that my very good friend sent her children there and both her children had wonderful preschool experiences. Well…as you might have guessed from the fact that my older daughter goes to a Waldorf School for kindergarten, our experience at preschool #2 was not good. 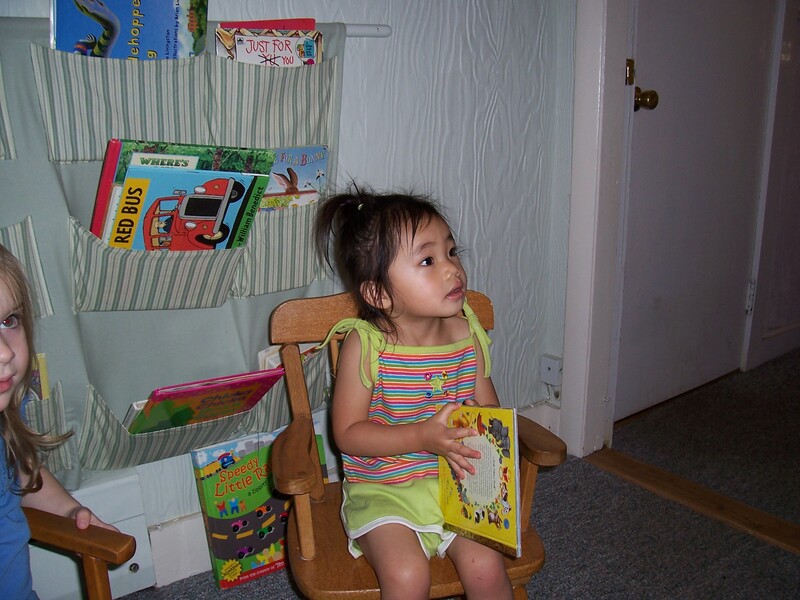 Even as I start writing about the events that occured during her first year at that preschool, I realize that the story still has a charge for me. So here goes…get ready! In the late spring, I asked the teachers to fill out a speech evaluation form because I was concerned about Keira’s stuttering. The teacher looked me straight in the face and told me that she couldn’t fill out the form because she had never heard my daughter speak. Are you f*cking kidding me?! My daughter has never spoken in this classroom and you are telling me about in May?! After flipping my sh*t at the teachers and administrator, I found out that Keira rarely talked at school. And she NEVER spoke to the teachers. She is a very smart little girl; she was able to get her needs met entirely through using her body, standing in the right place/using gesture. Keira was not a problem for the teachers. She got in line nicely, she crossed her hands for the blessing, she colored and cut with more skill than any other child in the class. She wasn’t causing a problem; they weren’t concerned about her. They were not concerned about her development as a whole person. She was a good, quiet student. They truly did not understand what was I so upset about. So clearly the preschool was not a good fit for Keira – or her mother. I knew in my gut from the first month of school that the preschool wasn’t the right place for Keira. But, I had done so much research…and this was the best option. But now in hindsight, I know that there was a much better option: keeping Keira home with me those three mornings a week would have been better than her spending even a minute in that classroom. She communicated with her teachers and friends beautifully as a two year-old at her lovely little play group. And then, as a three year-old at the bigger school, she stopped talking almost completely. The next year would be much better for Keira as her classroom teachers took the time to truly get to know her. They loved her and recognized her gifts and struggles. But in the end, the school’s primary focus on kindergarten-readiness would make academics the priority of each child’s education. This was not a good fit for our family. Tune in again tomorrow for part 2 of the series. There was a boy in Hannah’s 3 year old preschool class that never spoke, it was his mission not to say a word the entire year, not sure why. His mom and teachers didn’t understand. My angel made it her mission to get him to speak, and finally in April, she got him to tell her how old he was. It is crazy how kids get certain things in their heads, but even crazier the teachers didn’t tell you, or think it was a problem. Keira was always a little quiet and introverted. This was one of the big considerations for us chosing the pre-school path we chose. We really felt the other option would have been overwhelming for her. We couldn’t get a handle on putting into a situation that felt like chaos. Keira would talk about school and things that happened so it really seemed OK. However, we know she wasn’t comfortable there and withdrew. It’s not acceptable that the teachers did not put this on the radar and didn’t find it at all odd. In the end, we may not be where we are today without this experience as a big driver to finding a better solution to our daughter’s education. Excellent point! There was a sparkly-silver lining to preschool #2!! Glass half-full. I LOVE it!